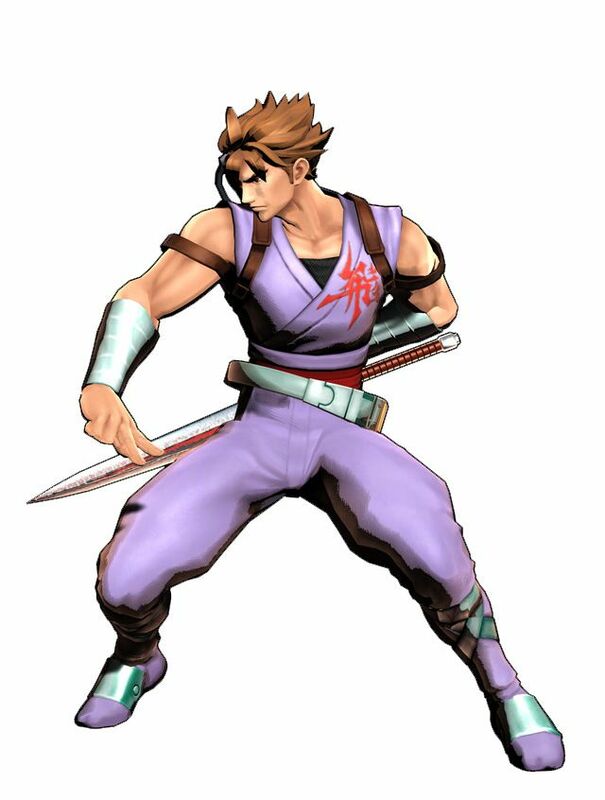 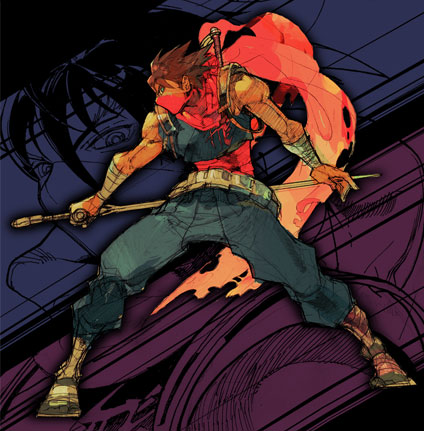 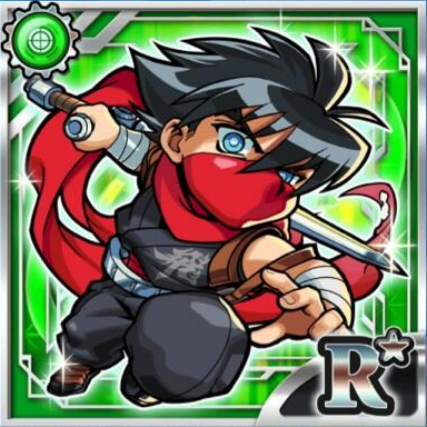 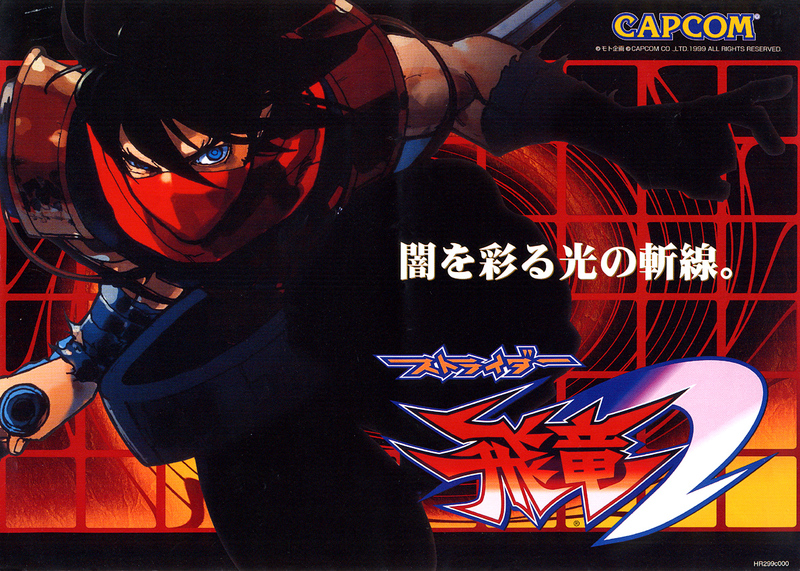 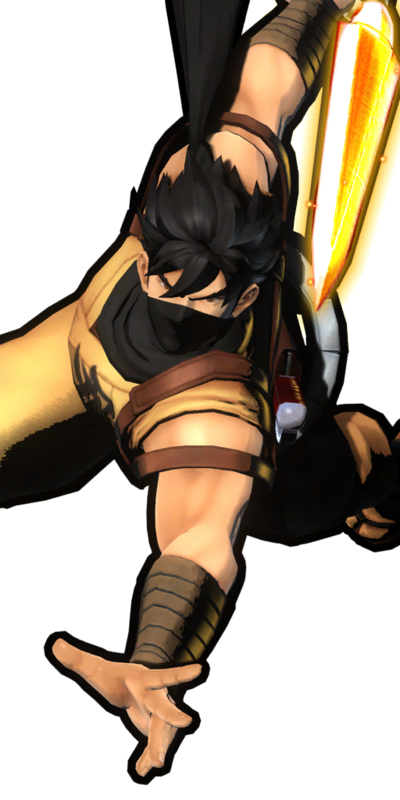 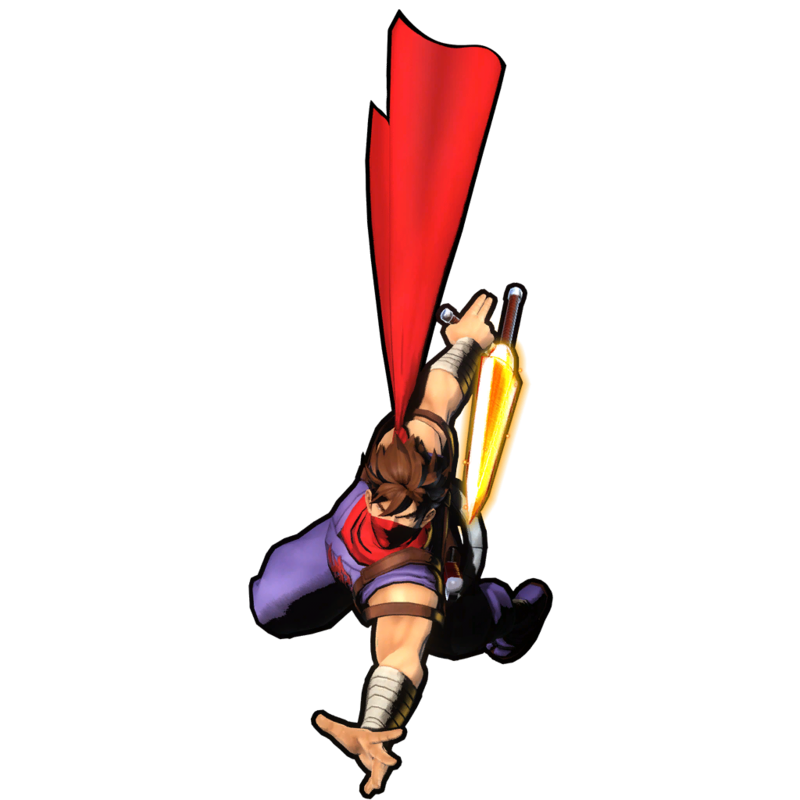 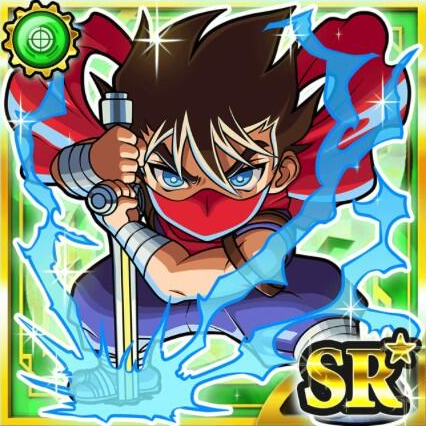 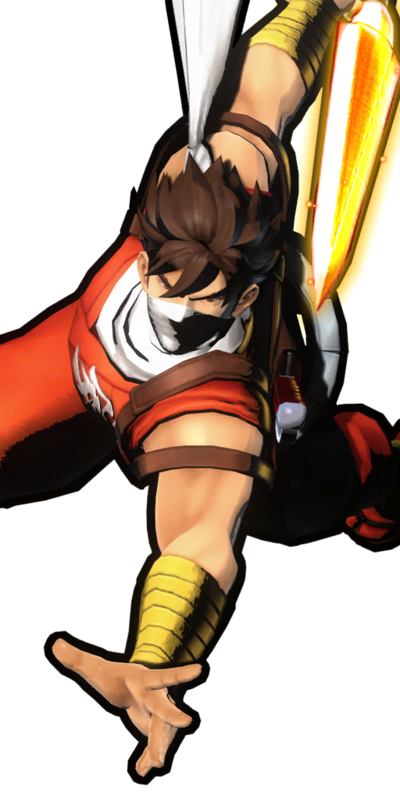 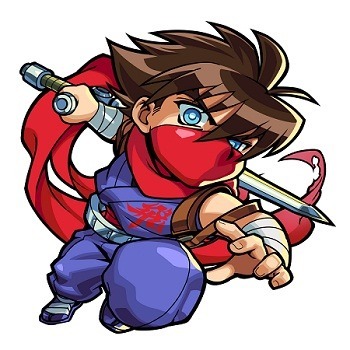 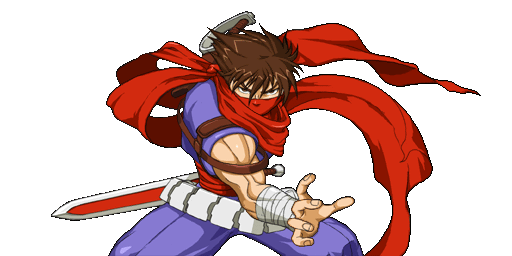 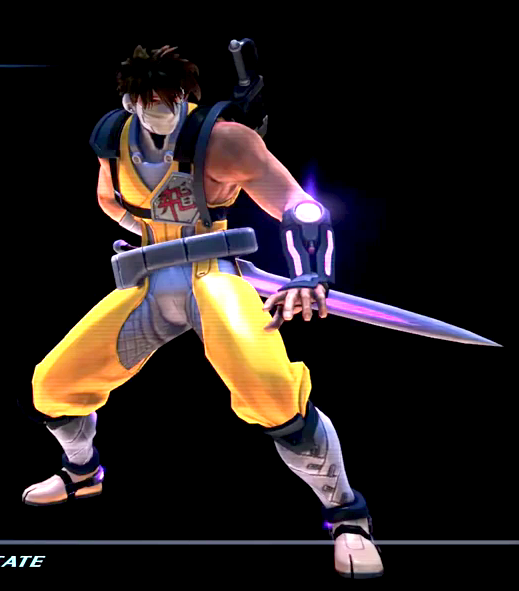 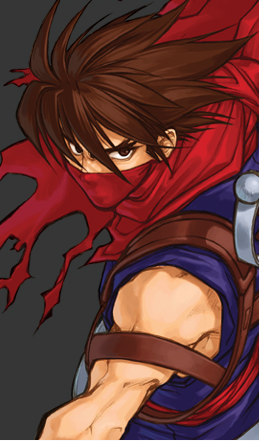 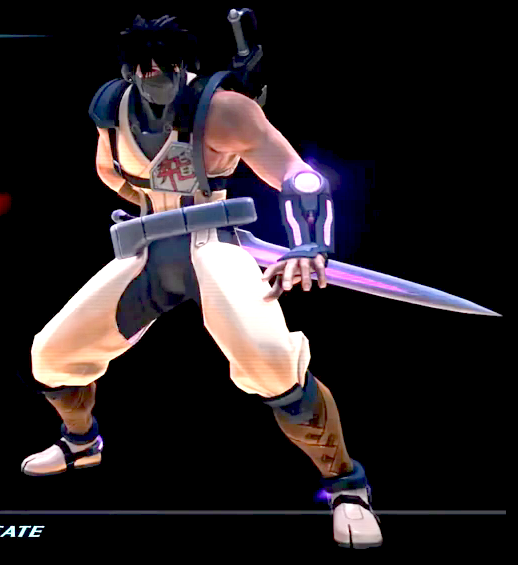 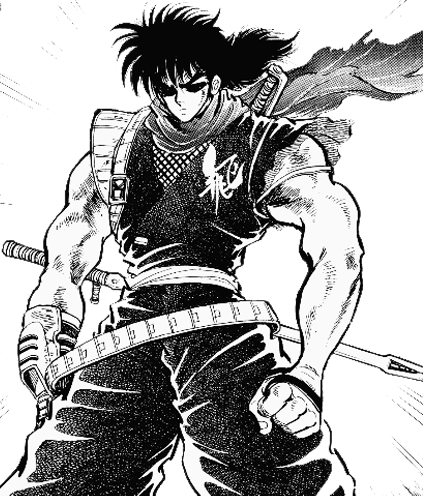 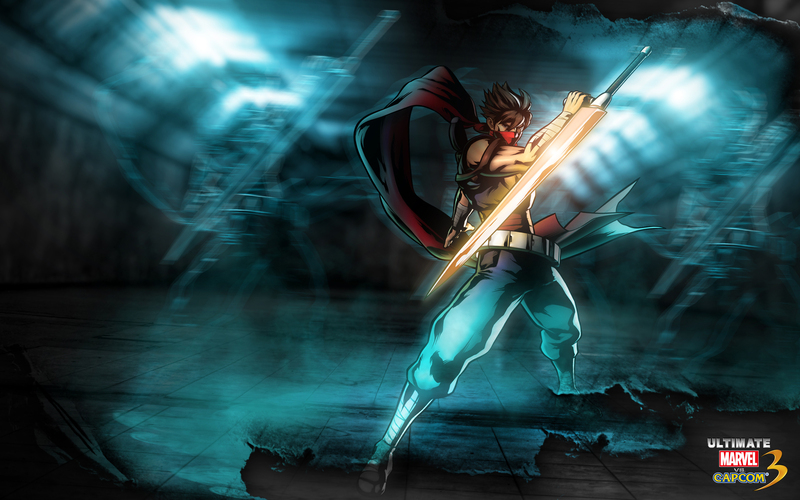 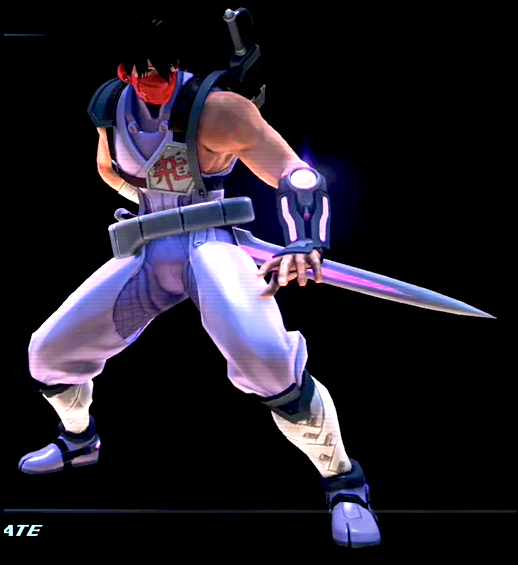 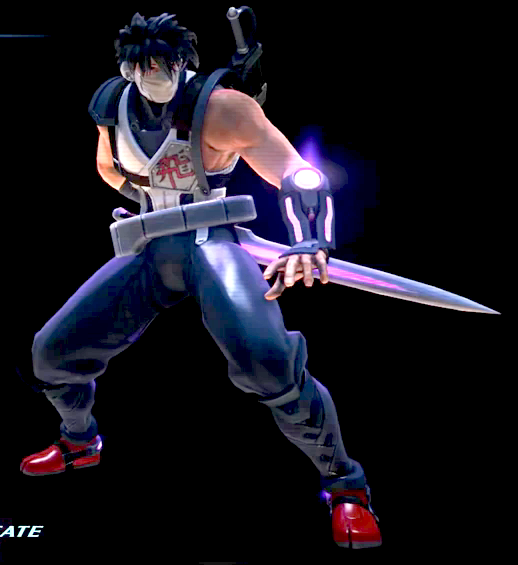 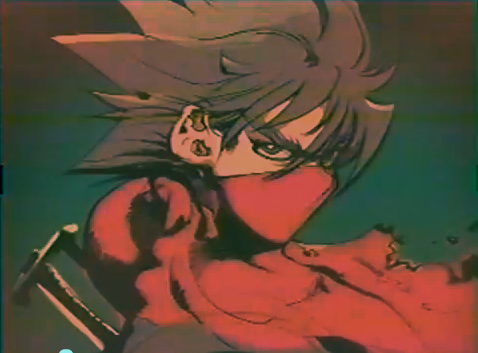 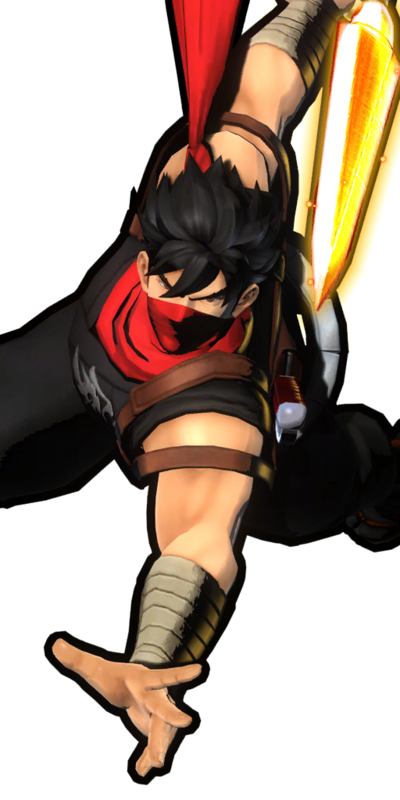 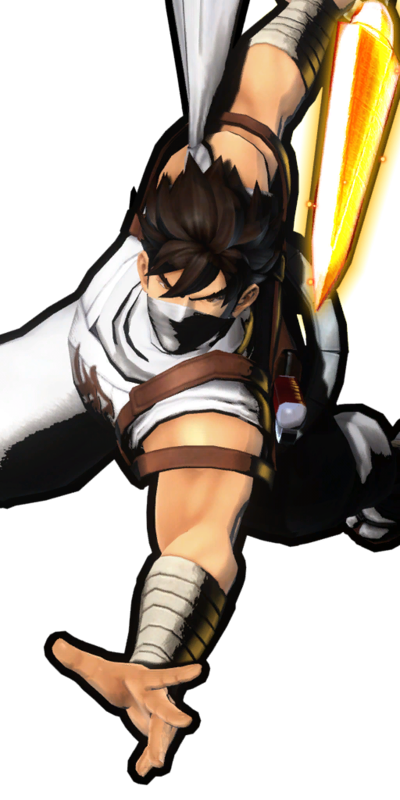 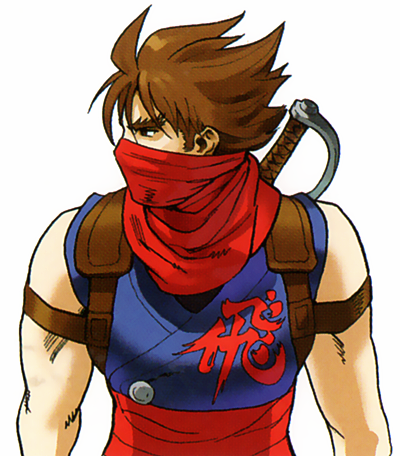 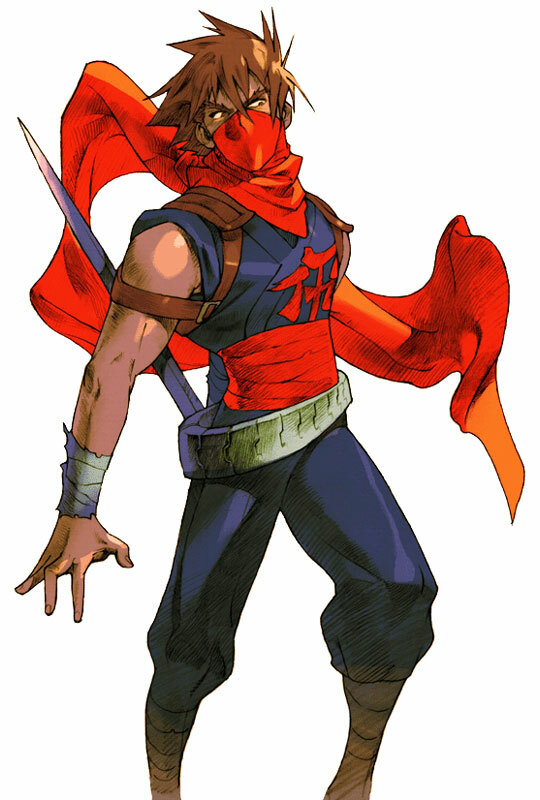 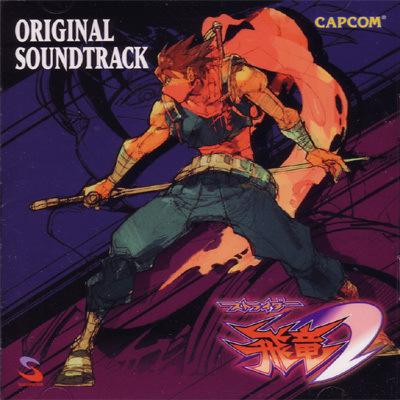 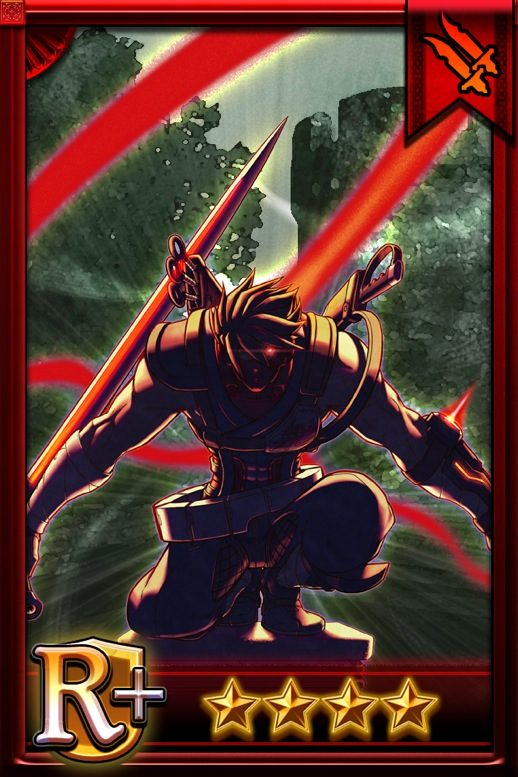 Hiryu is a ninja-like warrior or special agent, known as a Strider. 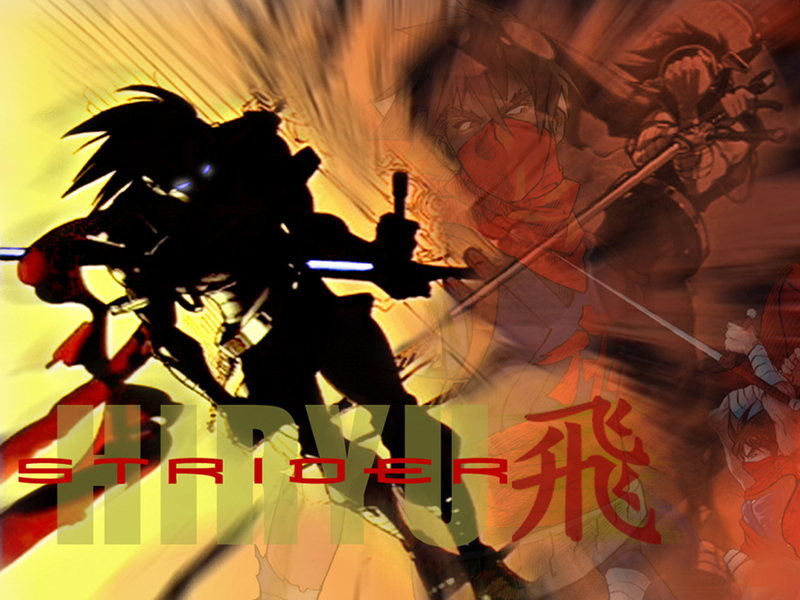 The Striders are a elite team of hi-tech mercenaries who specialize in spying, assassination, and sabotage. 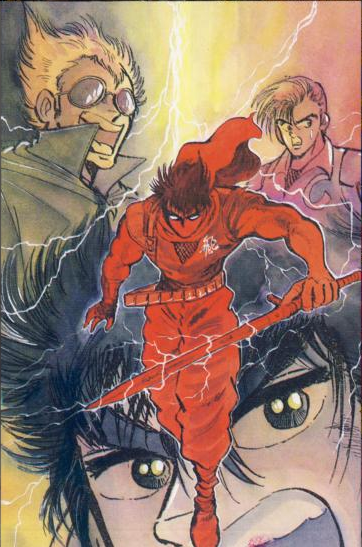 The Striders are one of the world's most influential secret maneuvering groups, having existed since the feudal era of Japan. 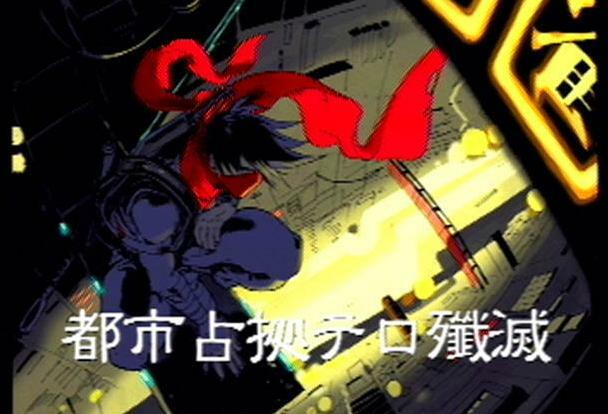 As a Strider agent, Hiryu's personal data such as real name, age, nationality, career and any other background information are top secret, although official speculation states that he's an Asian male somewhere around 20 years of age. 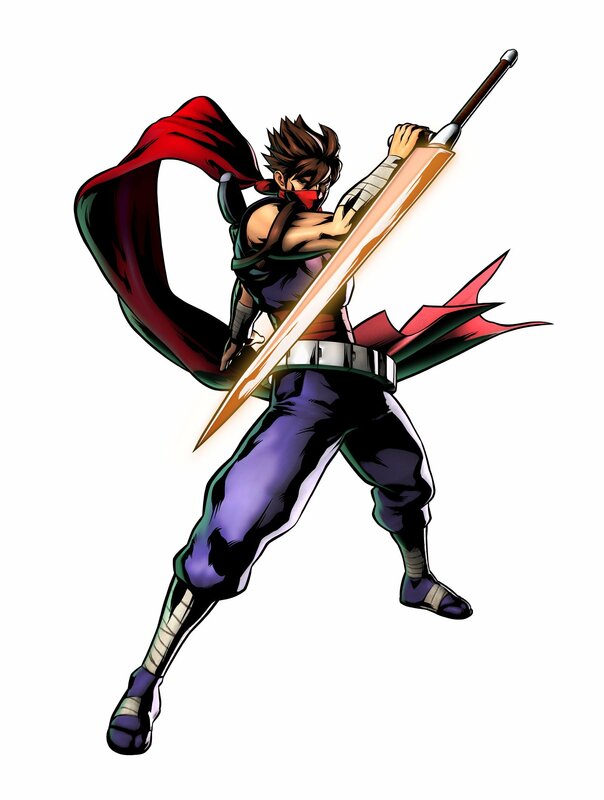 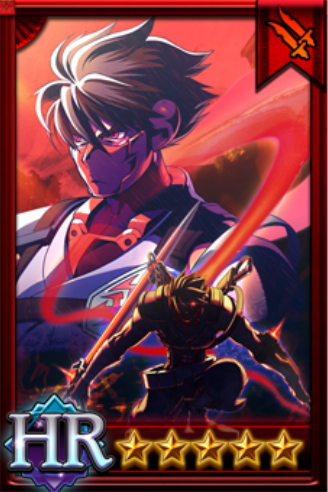 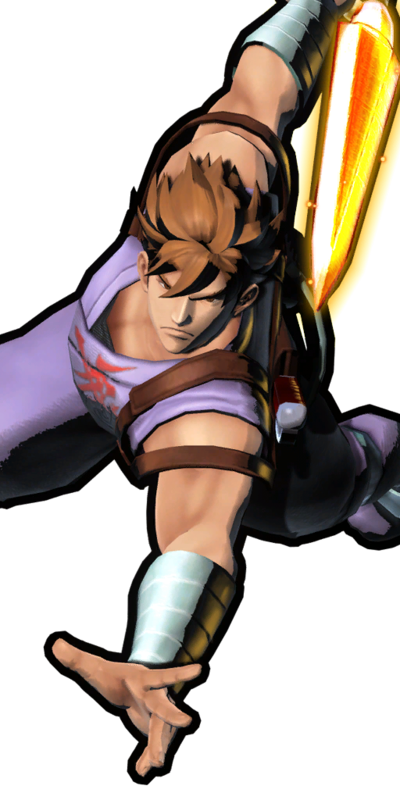 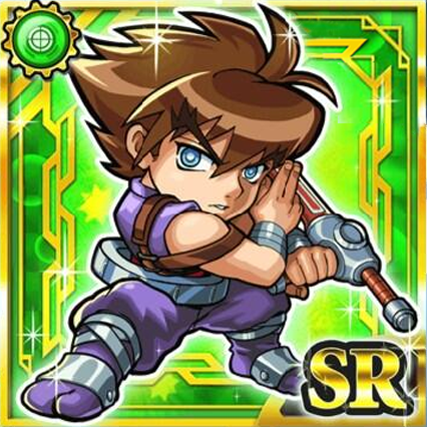 Hiryu is one of the most skilled Striders, having been the youngest ever to obtain the high rank of Special A-Class in the organization's history. 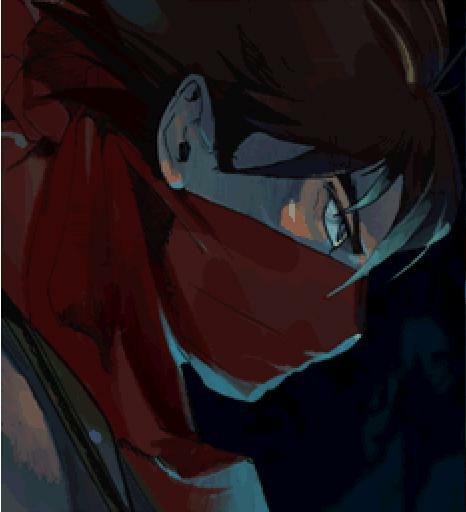 To the Striders, he is their best assassin; To outsiders, little if anything is known about him other than his feared reputation. 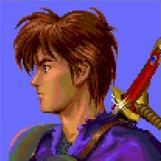 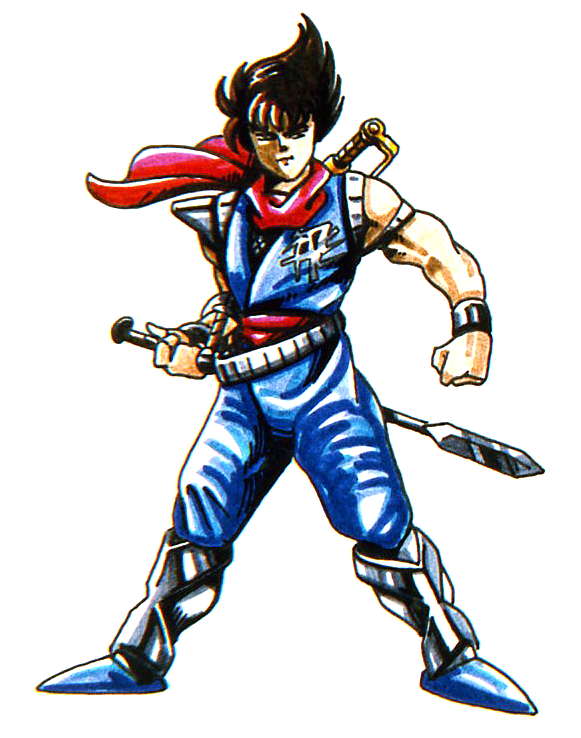 Nothing is known about Hiryu's past, outside the fact that he's an orphan of Asian (most likely Japanese) descent. 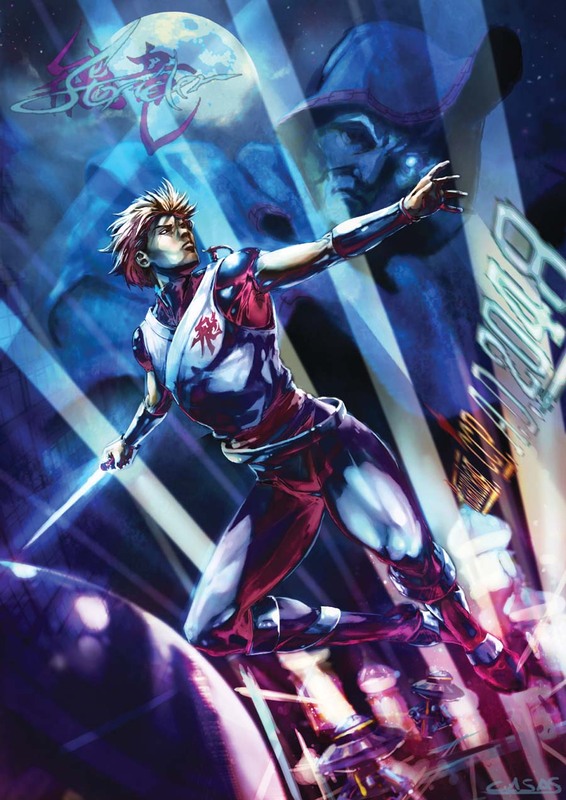 In the year 2042, an evil alien supergenius by the name of Grandmaster Meio appeared and, in five years time, had taken over the nations of Earth, and exerts control over the human race with an iron fist and powerful militia. 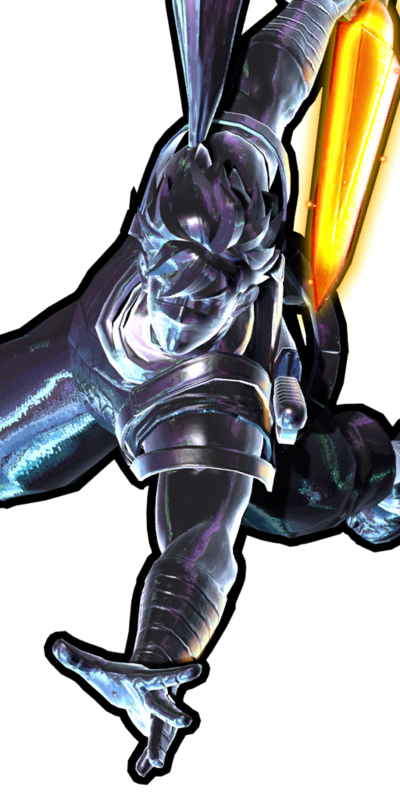 Having uncovered the secrets of life in the Amazon, Meio plans to construct his super city, the Third Moon, and cause a mass extinction event on Earth, seeing it as nothing more than his own plaything, and creating his own lifeforms to populate his new world. 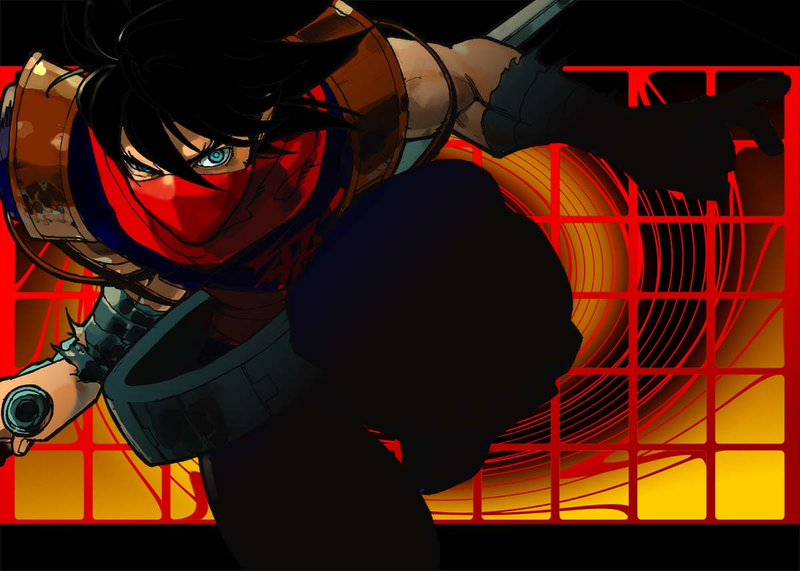 In 2048, A resistance force comes to the Striders to stop Meio's diabolical plans. 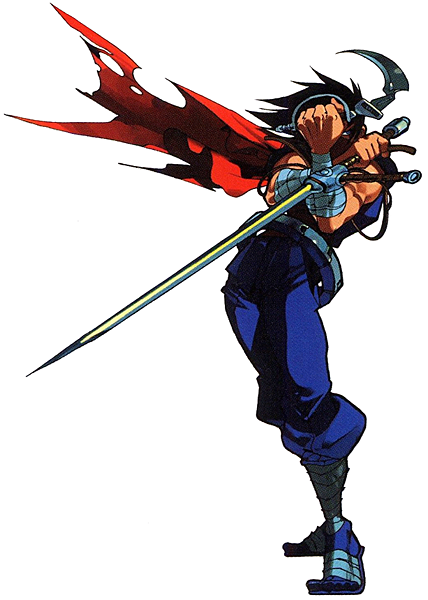 Hiryu is tasked to take down Meio and his machinations. 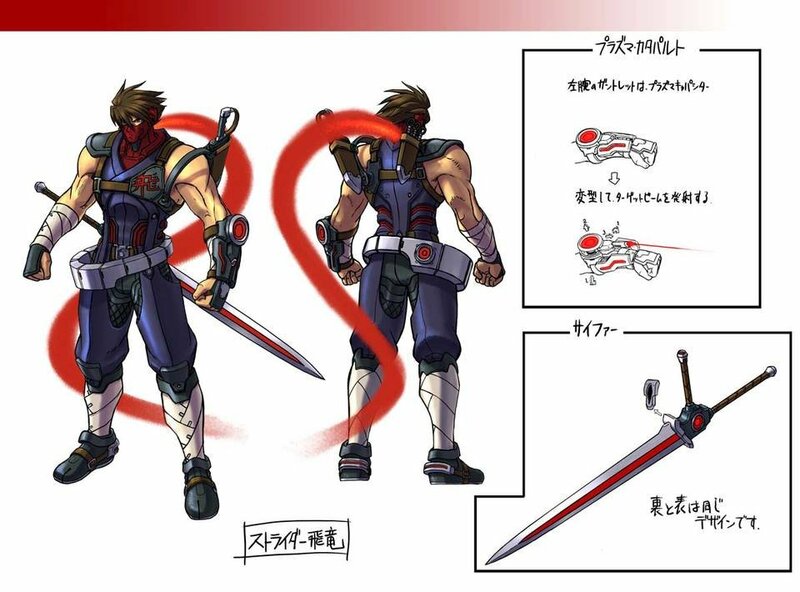 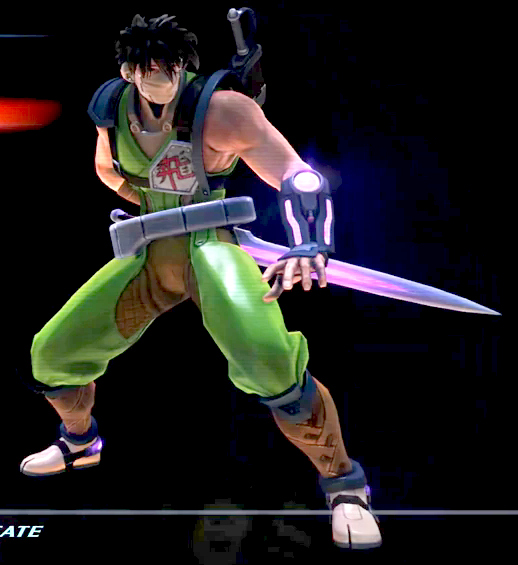 Hiryu favors the plasma sword Cypher as his weapon of choice, which he can freely use from any position. 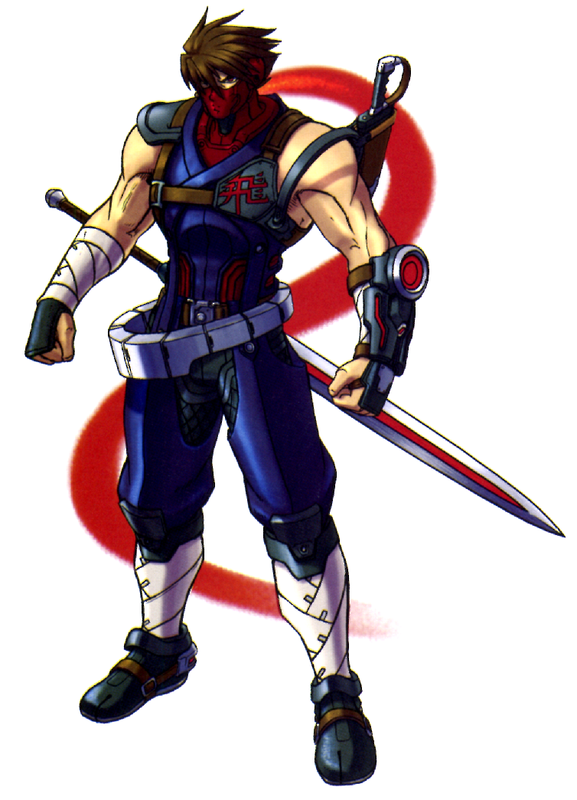 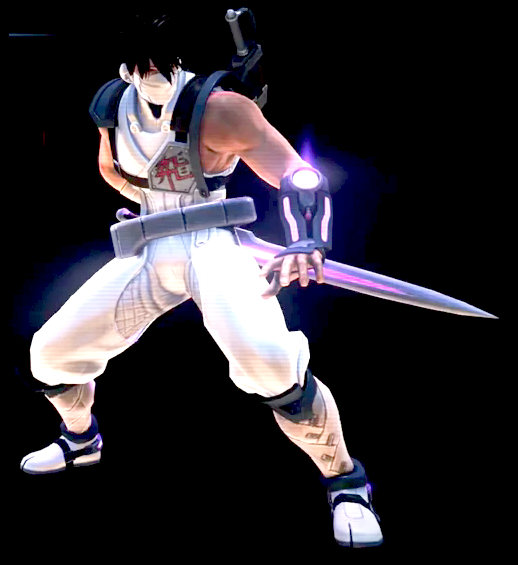 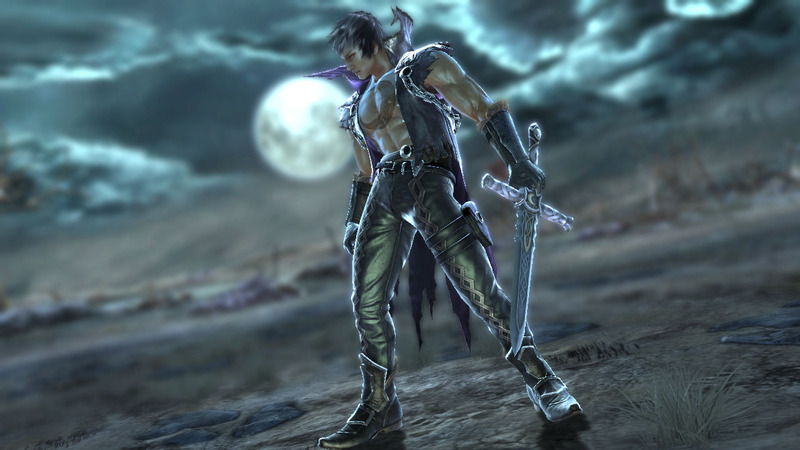 Armed with a Cypher (a razor-sharp blade, wielded similarly to a tonfa which generates metal-cutting plasma) called Falchion, Hiryu must travel around the globe (including the Soviet Union and the Amazon Rainforest) to find and destroy the evil being. 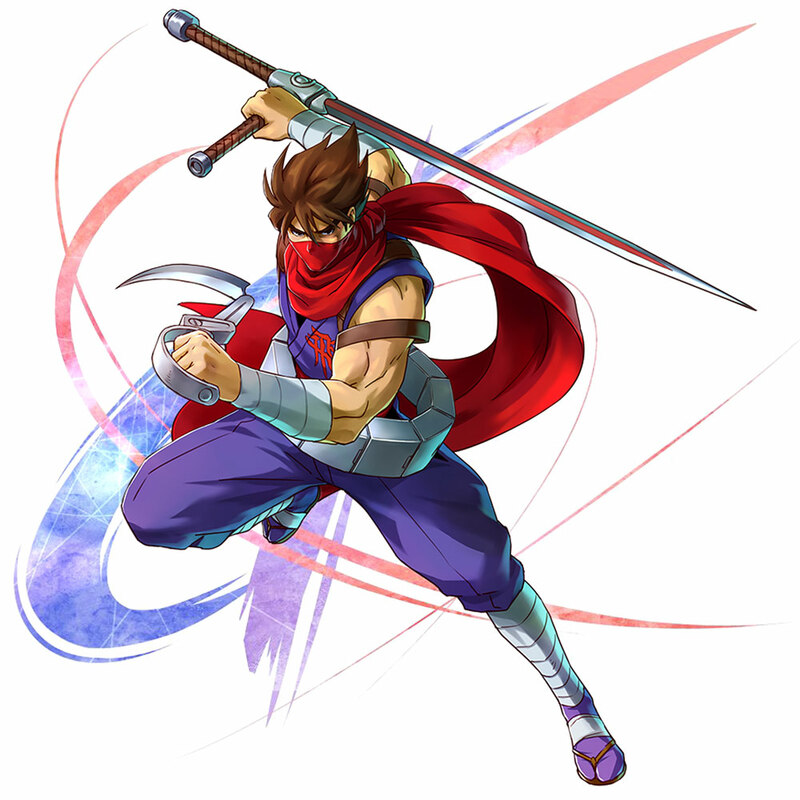 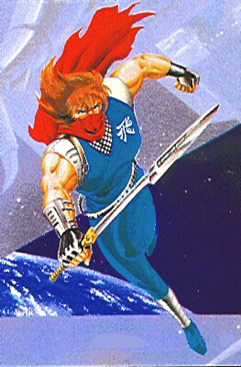 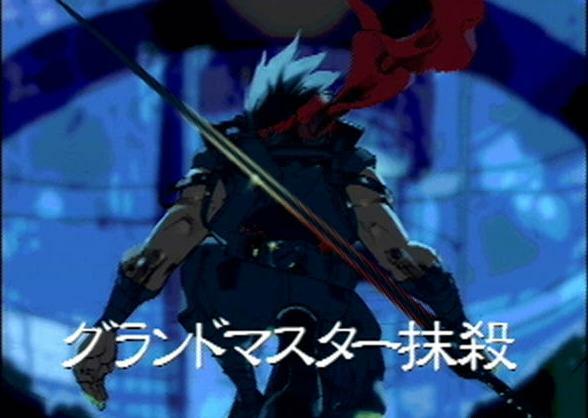 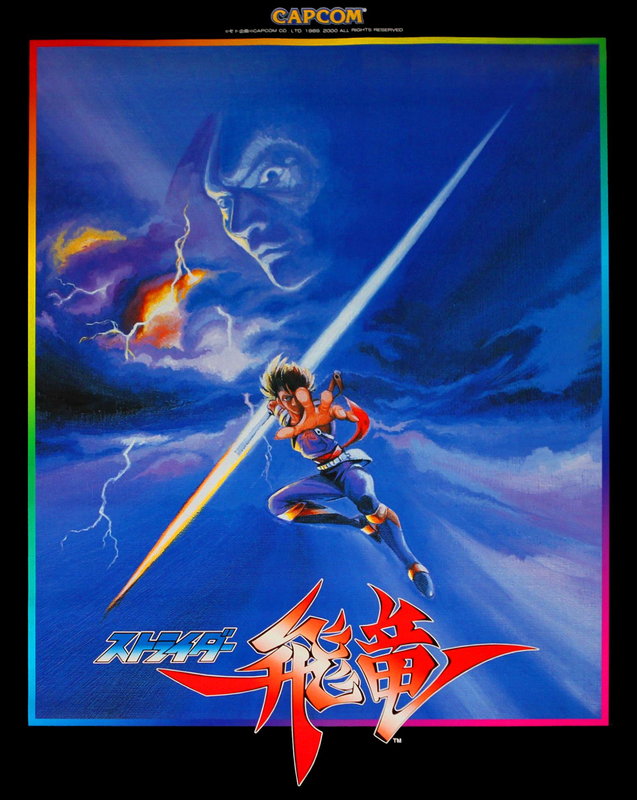 Strider Hiryu originally debuted in 1988 as the protagonist of a manga by the same name, published exclusively in Japan by Kadokawa Shoten. 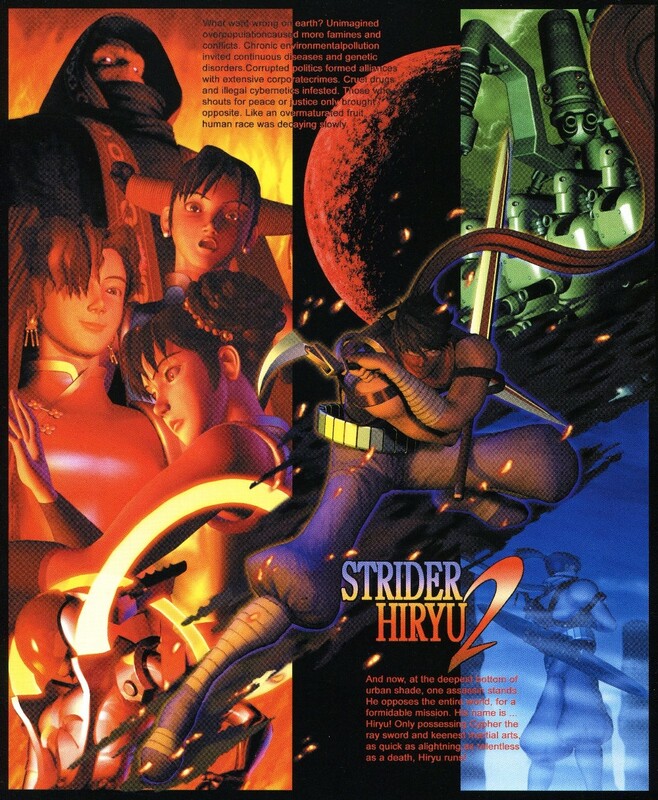 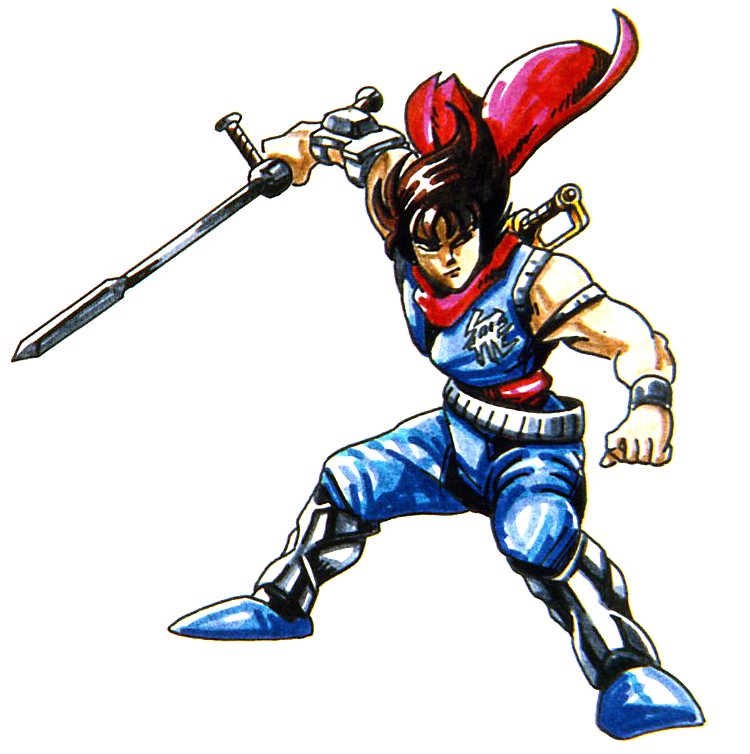 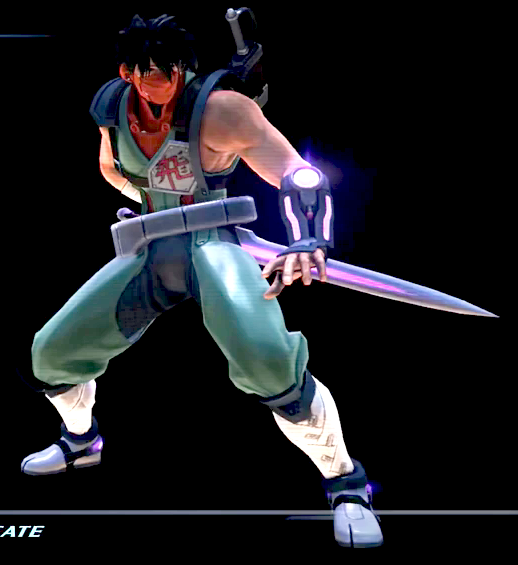 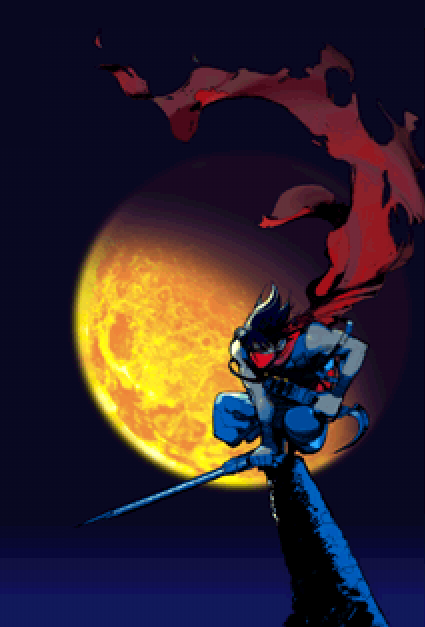 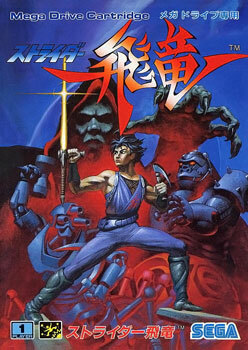 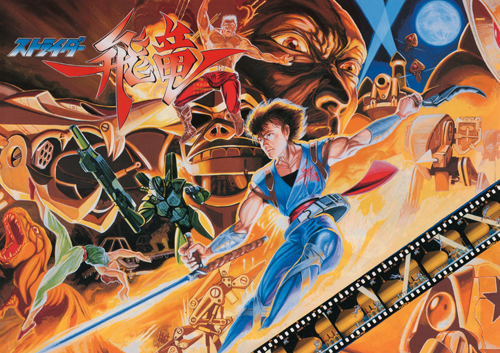 Hiryu made his first video game appearance in the 1989 Capcom arcade game, Strider. 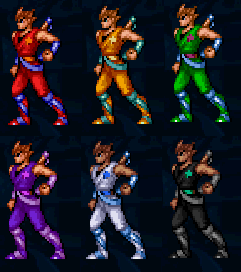 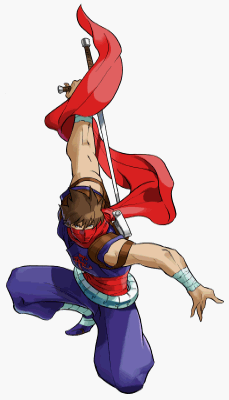 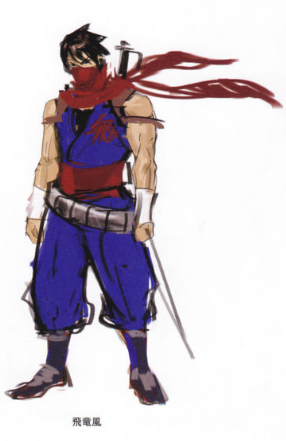 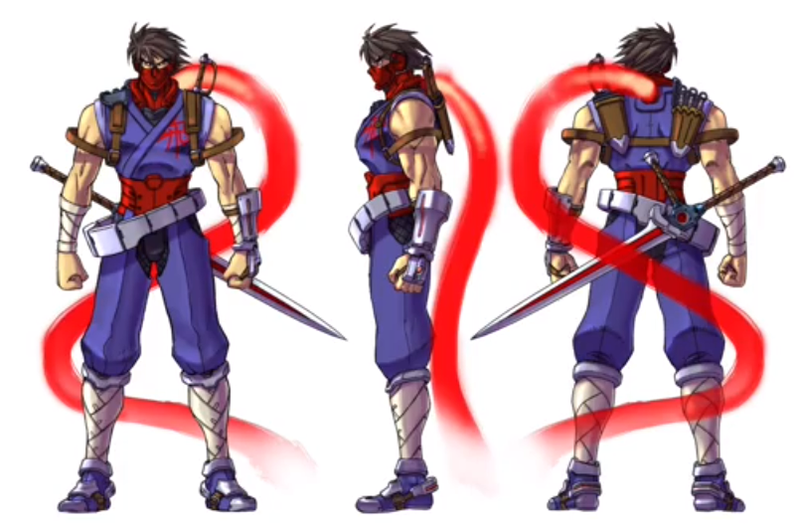 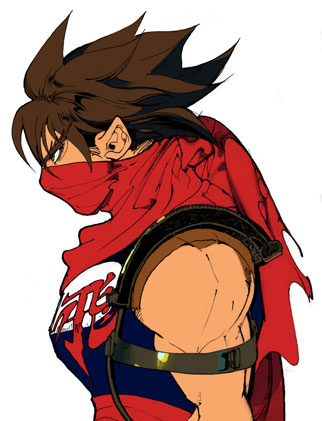 As one of the coolest "futuristic" ninja designs ever, Hiryu was destined to make his fighting game debut eventually... and with late 90's Capcom sprite artists behind the job, the result was spectacular. 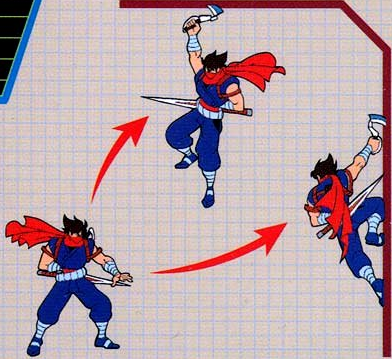 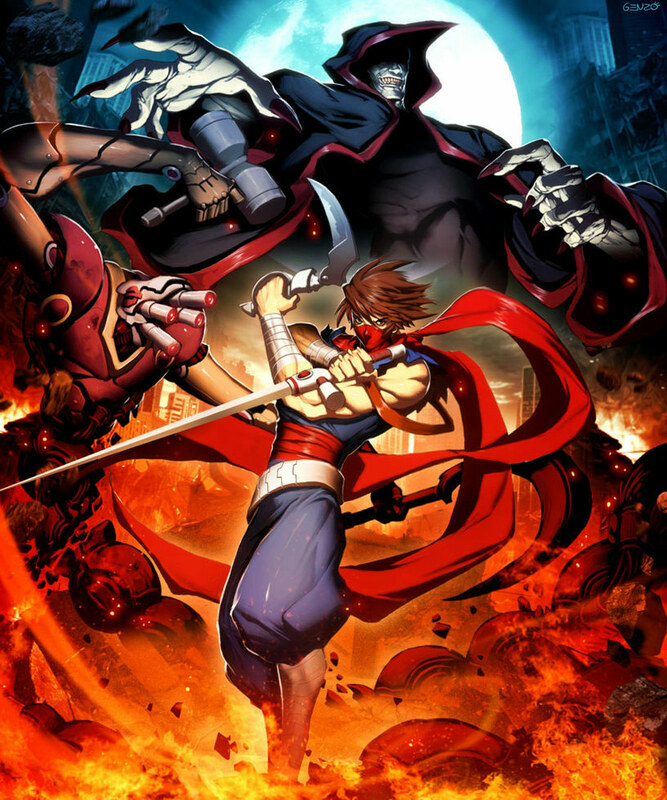 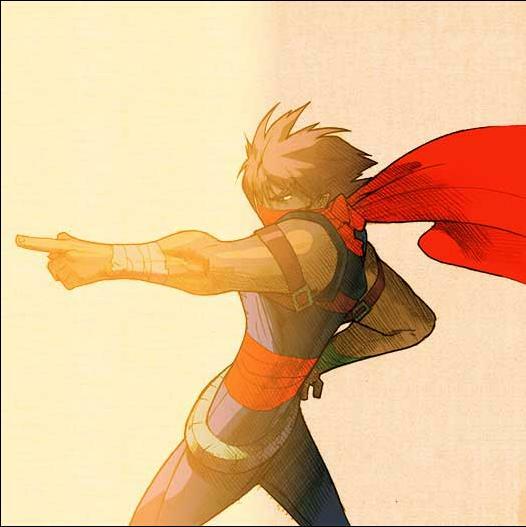 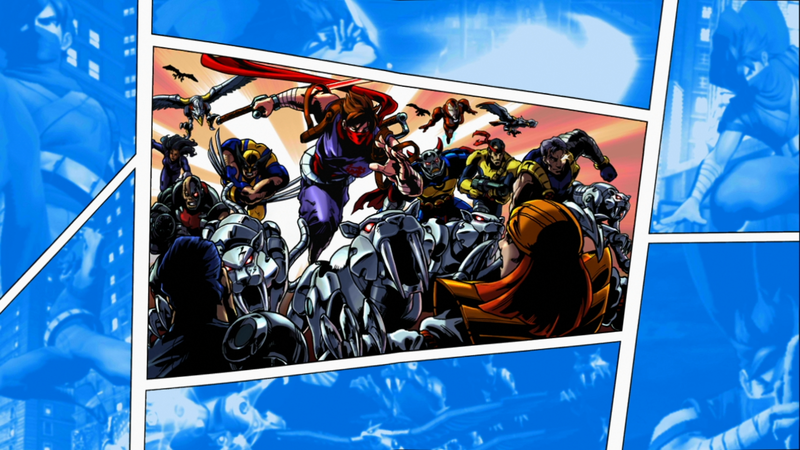 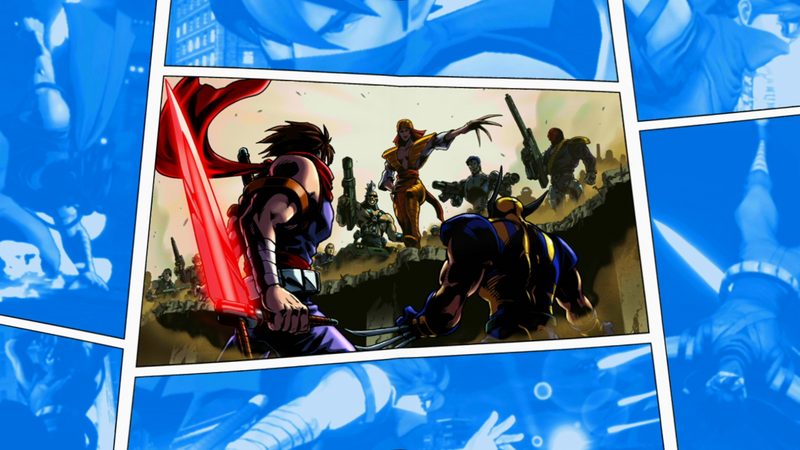 Strider's classic movements and fighting style were revamped and executed brilliantly in the Marvel VS series. 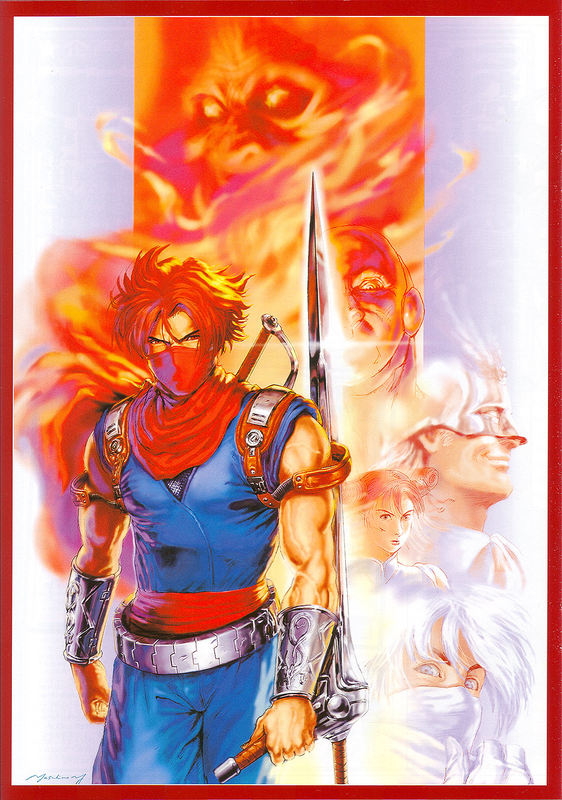 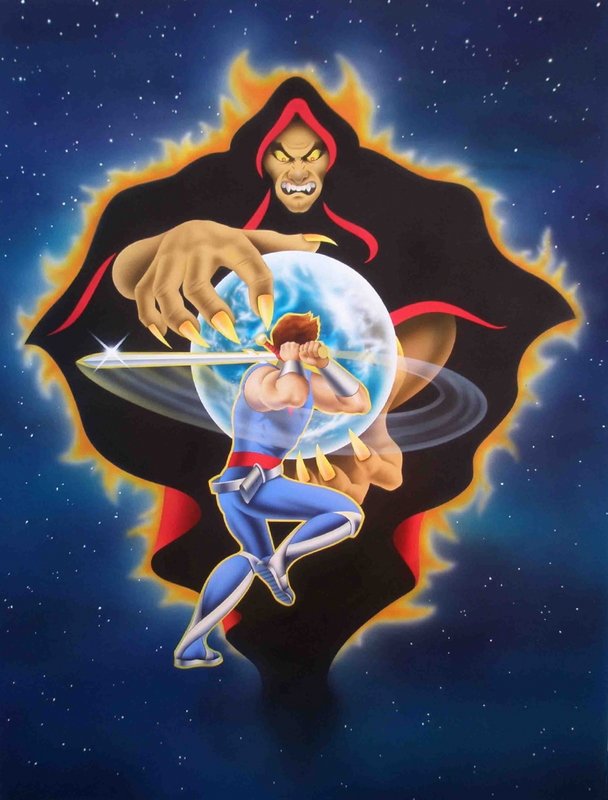 For the record, I did play the original Strider when I was just a little kid in the late 80's (Amiga version)... and I never could get to the very end. 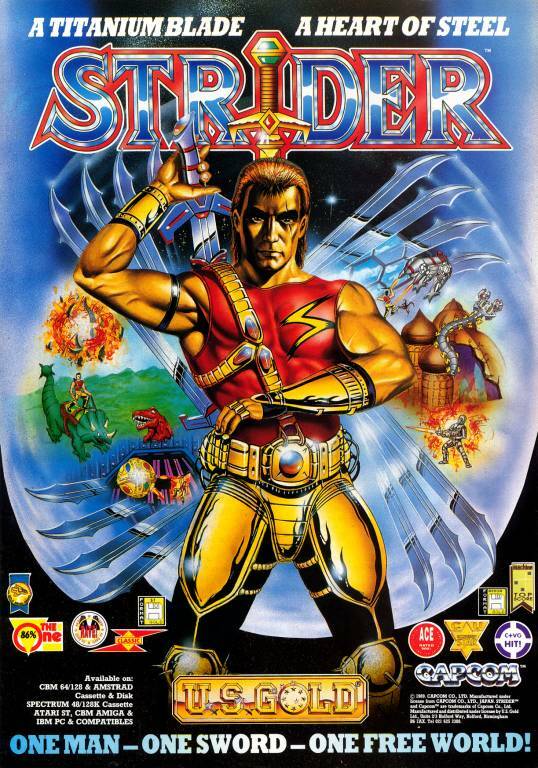 Indeed, it was a ridiculously difficult game! 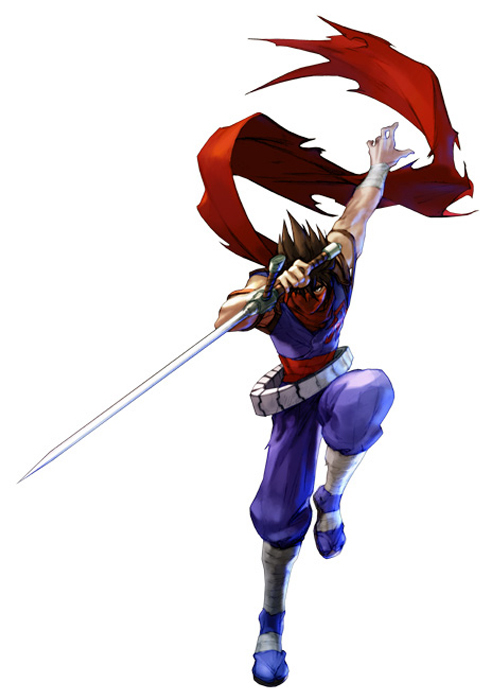 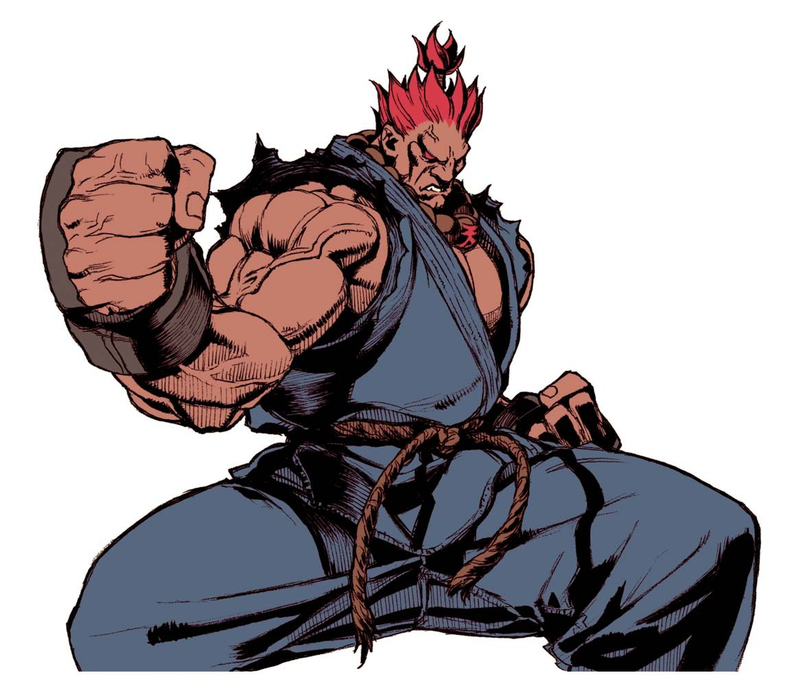 Anyhow, when I first played Marvel VS Capcom in 1998, I immediately recognized the sound of Strider's sword and the way it slashes... and I was like "Waaaait a sec, I know this guy!!!" 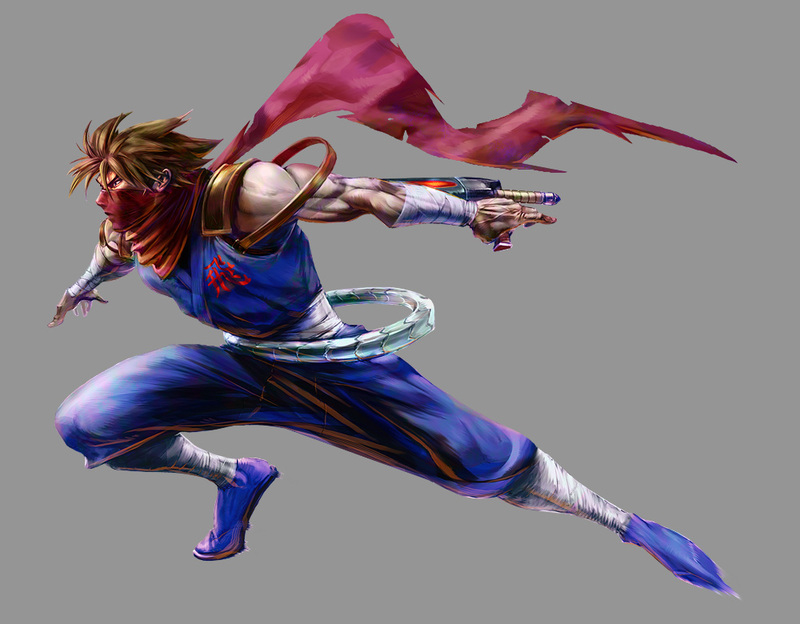 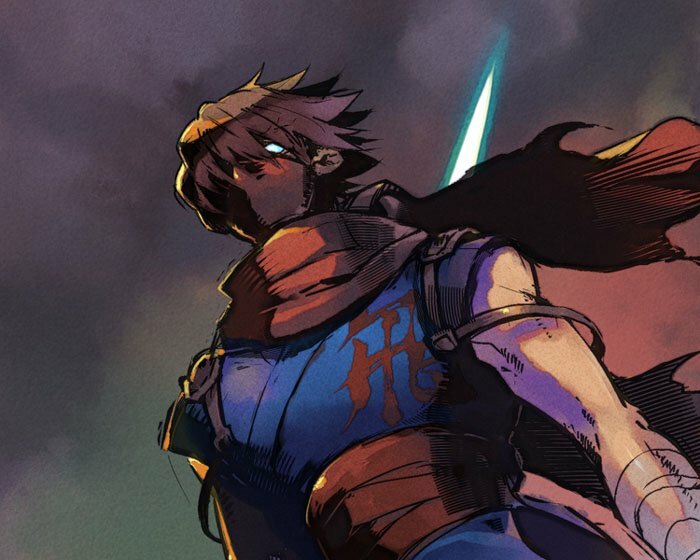 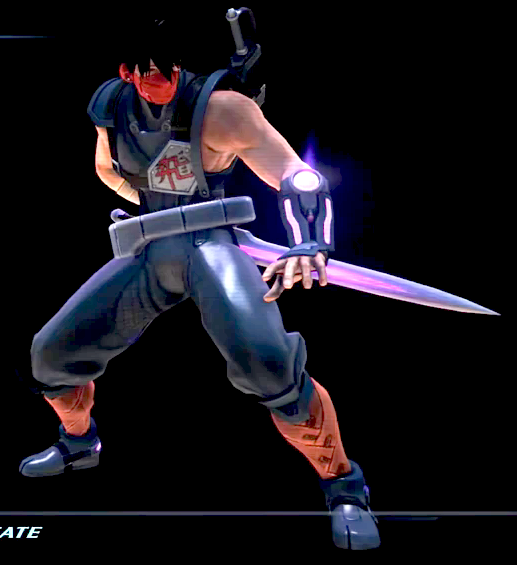 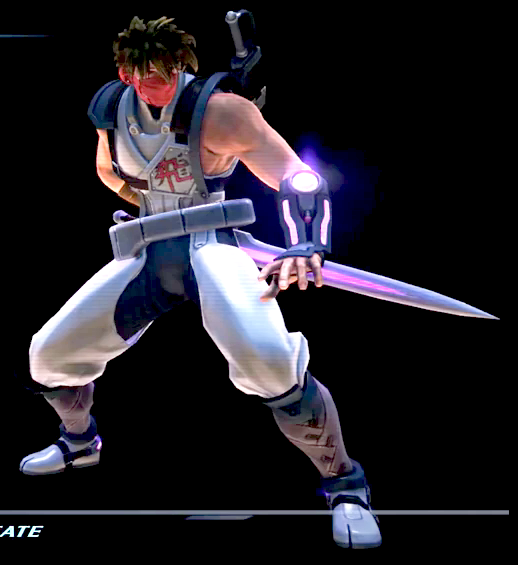 0__0 The thing is, I actually forgot Capcom made Strider when I first played MVC... plus, they made Strider look so damn cool in MVC, that I wasn't even sure it was the same character at first! 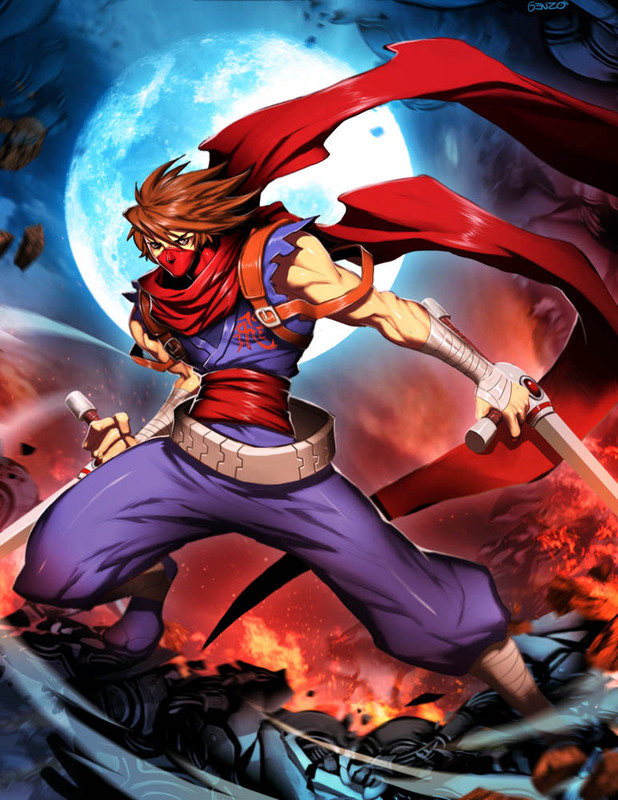 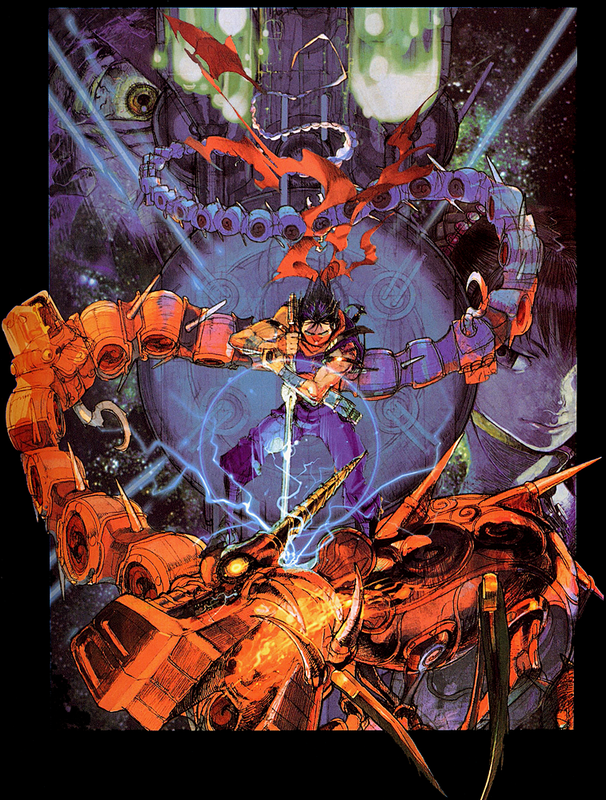 Indeed, Strider is a classic Capcom icon and probably one of the coolest late 80's video game veterans to ever cross over to the fighting genre. 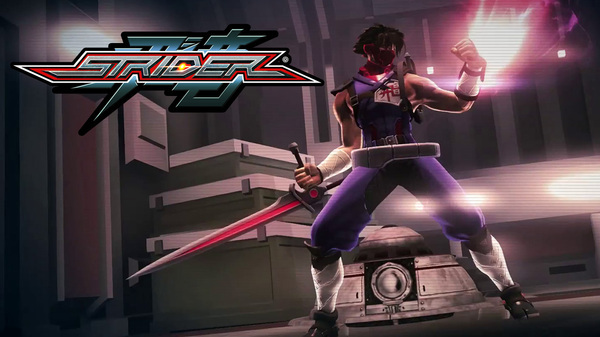 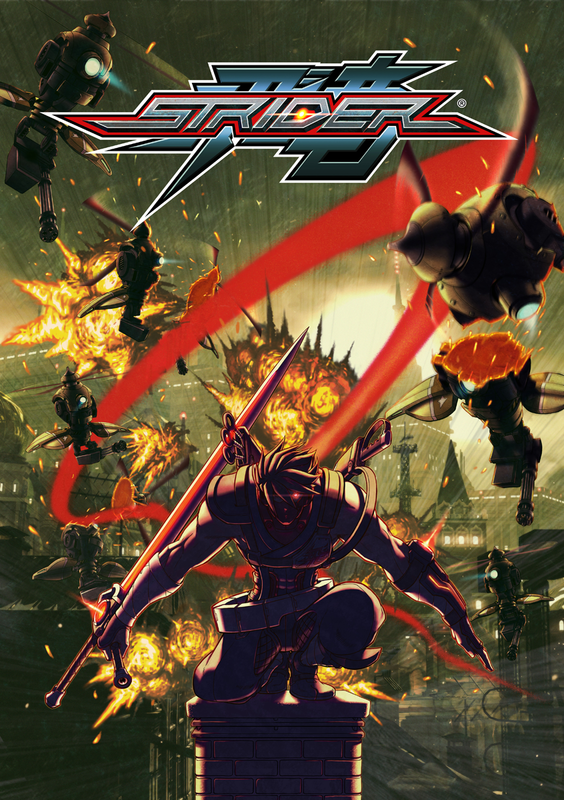 On a side note: The 2014 Strider reboot game is incredibly sick, especially on PS4!